Today's post will be an unboxing of July's Lust Have It box and I'll be showing you what little surprises are inside! For those of you who are unfamiliar with Lust Have It, it's an Australian monthly subscription service where you receive 5-6 deluxe samples and full size beauty products delivered to your door for $19.95. The beauty products you get will range from hair care, skin care and cosmetics so you'll get a bit of everything in your beauty box. If this isn't just a gimmick, then I'll be one happy lady! I'm all for thick and full hair as my hair type is thin which can become a bit flat and lifeless. I won't be able to comment on whether or not this will give me full and luscious hair as it's only a single use sample but I'm looking forward to giving this line a proper try when I purchase the full sizes. A great multi purpose product that can be used as a blush and a lip colour all in one! It's a warm coral shade with a subtle shimmer that looks lovely on the cheek and works well as a base lip colour with a gloss over the top. Perfect for spring/summer! Quite a pigmented product so be careful not to go crazy if you're using it as a blush! First thing I noticed when I opened the quad was the strong, generic eye shadow scent. But once you get over that, the shades are quite beautiful. Very pigmented colours with a smooth texture to them. You have all the shades you need in the quad, 3 matte shades and 1 shimmer shade to complete an entire eye look, day or night, which makes it great for travelling with or if you need to apply on the go. The Emma quad would look stunning worn during autumn! A very rich serum packed with antioxidants to help combat wrinkles and assist in repairing the skin from damage. I don't have any major concerns with wrinkles as of yet however, I like to include this serum in my night time skin care routine and just apply it around my eye area. 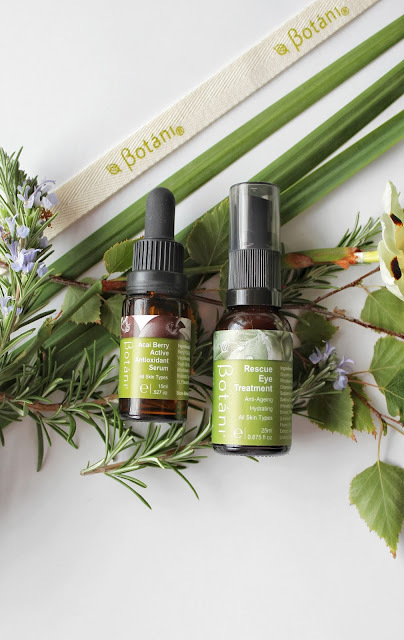 If you suffer from fine lines, wrinkles, sun damage or disclouration from breakouts, just apply a few drops of the serum onto clean skin and neck before your moisturizer. For use during the day, make sure to apply a broad spectrum SPF over the serum as the retinol makes your skin sensitive to the sun. It's suitable for all skin types and it's 100% free of fragrances and colourants. 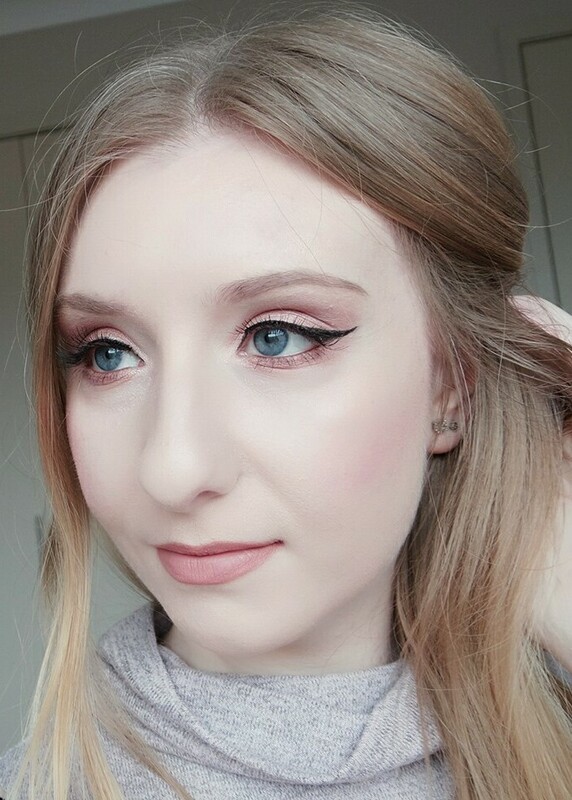 I don't usually go for light pink lip colours but I think I can make this work in summer and spring time! It does have a slightly sticky formula and does feel a bit thick and heavy on the lips however, it's an opaque formula that goes on nicely and isn't patchy or drying on the lips. Can be worn over your natural lip colour or over a lipstick of your choice. If you'd like the true colour of the lip gloss to show, just block out your natural lip colour with some foundation and apply the lip gloss over the top! A creamy, pigmented eyeliner that can be used anywhere on your eye! Whether you're a winged liner lover or a smokey eye lover or you're just crazy about eyeliner all together, this will help you create whatever look you're going for! It contains natural ingredients and it's talc, paraben, fragrance and GM free. Be sure to sharpen the pencil before application for best results! I've been a member of Lust Have It for a couple months now and I can tell you that I thoroughly enjoy their beauty boxes as well as the quality of the products. It's a great way to discover new brands or brands you might not have heard of. And as a beauty enthusiast, learning about new brands is a pretty exciting thing! You get more than what you pay for in each box so I'd definitely say it's worth the money. I would easily recommend Lust Have It if you're looking to subscribe to a beauty box. I'm very satisfied with their products and their level of customer service. If you're interested in finding out more about Lust Have It, you can check out their website on, https://www.lusthaveit.com.au/. Any questions? Just leave one in the comments down below! If you could like, follow and share that would be fantastic!